The Celluma, is a low-level-light energy device based on NASA technology and FDA Cleared to treat many musculoskeletal and skin conditions. 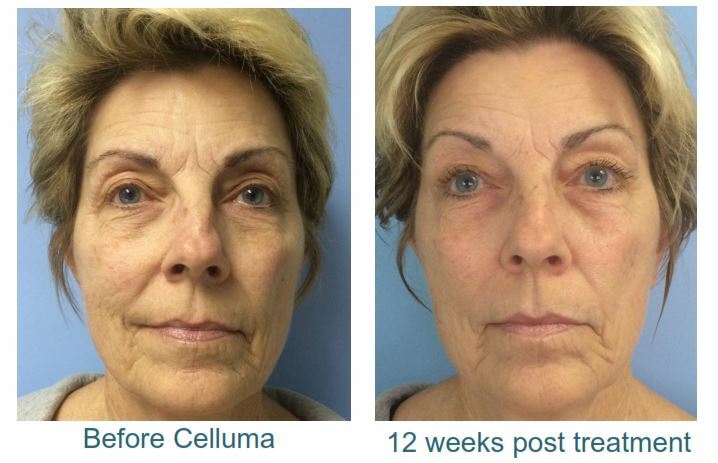 The ground breaking design of the Celluma LED panel creates a superior treatment for enhancing cellular metabolism allowing for the repair and replenishment of damaged cells. The Celluma panel is the only light weight, flexible, contour LED on the market. LED therapy is most beneficial when it is applied between 1-3 inches of the skin. Traditional rigid panel technologies lose a lot of light energy before it even hits the skin- reducing the efficacy of the treatment because they cannot conform to the shape of the face. 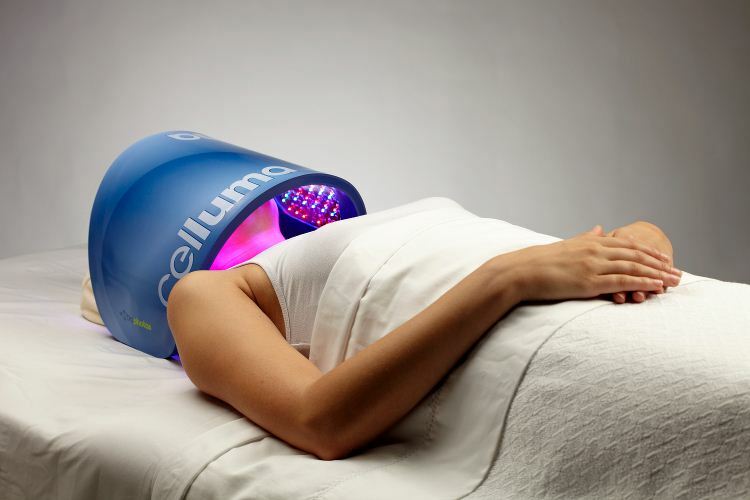 Celluma’s unique LED technology emits safe, UV-free low-level light energy that profoundly affects tissue at the cellular level. Blue, red and near-infrared lights are the most commonly used wavelengths in LED phototherapy. These specific wavelengths are well researched and scientifically proven to produce therapeutic benefits. Increases Lymphatic system activity- research has shown that lymph vessels can double during light exposure. LED light therapy is proven to trigger the body to convert light energy into cell energy without thermal heat. LED therapy is a non-invasive treatment that requires no down time. For best results, each 45 minute treatment is scheduled twice a week for 4 weeks. 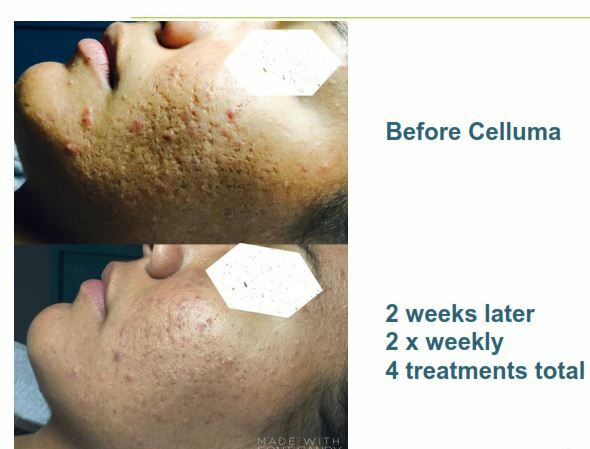 For Acne treatments we recommend 3 x per week for 4 weeks. For more information call and schedule a Complimentary Consultation.